Happy Sunday everyone. I’m currently on a comedown from the most amazing weekend up in Newcastle. Visiting family and making memories as well as seeing ‘The Weeknd’ up at the Metro Radio Arena on the Saturday night. It was a good weekend to say the least! This is a bit of an impromptu Sunday night post for you all but I turned on my computer and felt compelled to write about my little night time ‘unwind’ routine. It’s basically just a collection of a few skincare products and sleeping remedies that help me to wind down on a weeknight – weekends you know I’m having a gin or two so would sleep like a baby without a doubt. 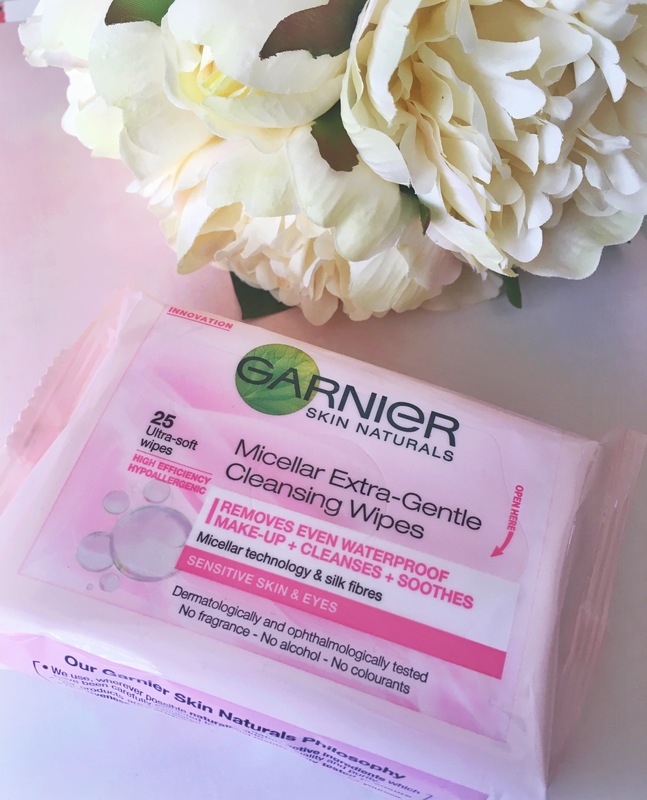 The ONLY wipes I’ll ever use these days, at a push, is the Garnier Micellar Cleansing Wipes. Just to loosen any eye makeup and mascara that I’ve got going on. They are literally so so soft and don’t feel that abrasive as opposed to the likes of Simple which I think can be quite grainy at times. If I don’t have any makeup wipes to hand then I’ll use the Garnier Oil Infused Micellar Water with a cotton pad over my eyes. I’ve mentioned this in my previous skincare blog post. Have a read here. 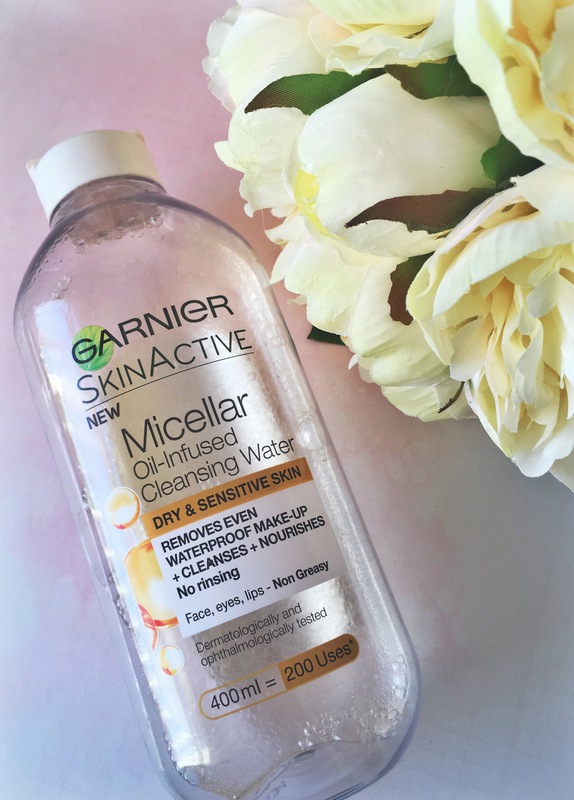 I love all the Garnier Micellar Waters – they’re all so gentle. I chose this one to see if it helped with my dry skin and it does! Okay so you’d think I was sponsored by Garnier by the amount of products I’ve mentioned by them. I’m not. I just think they’re really smashing it with skincare at the moment. To be fair, not even just at the moment – I’ve always been more inclined towards Garnier for price, packaging and their products actually working! 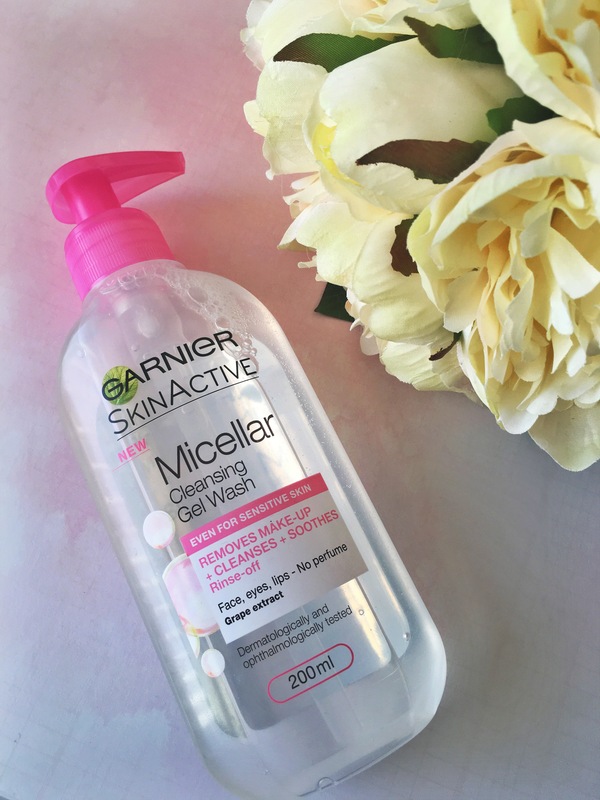 New to the routine is the Garnier Micellar Cleansing Gel Wash. It’s just so simple and easy to use and my face feels so much cleaner and brighter after I’ve used it because I’m actually washing my face. In the sink. With water. Just splash your face (makeup still intact) with water and then with one or two pumps, rub the product onto your face in circular motions until it forms a slight foam. All your makeup literally melts off. Splash your face again thoroughly and pat dry! My skins never felt softer and cleaner. For me, it doesn’t really get rid of all my eye makeup but I do tend to wear a couple of layers of mascara hence why there’s a few steps ahead of this one. I ALWAYS moisturise my face and apply eye cream. 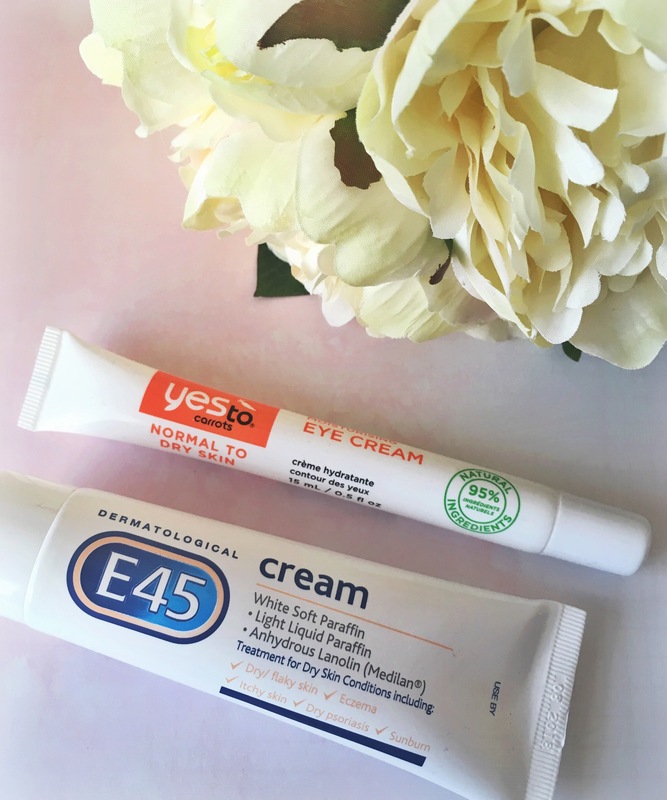 Eye cream is quite new to the routine only since my eczema came about on my face and my eyelids and under eyes took a massive hit. Boo. Any moisturiser aimed at dry skin I tend to use. If it’s not my bargain Superdrug own branded moisturiser for dry skin, I’ll use E45 which is amazing. I use this day and night, in the middle of the day. Whenever. It’s helped so much with my flaky eyelids as well as the Superdrug cream. Take a look at it here. These two products are my babies. ‘This works’ is an amazing brand and has really changed my sleeping game. 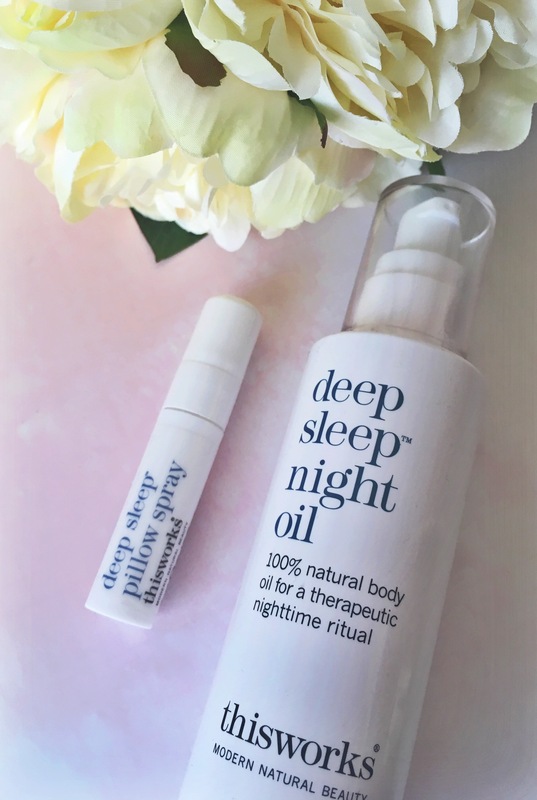 Don’t get me wrong, I could sleep anywhere, any time of the day but these products just help me drop off in a lovely, peaceful and restful nights sleep. My love for the sleep spray was ignited by the arrival of my first ever Birchbox (I thank you!) and just two sprays on my pillow, I’m breathing in lavender all night and it’s heavenly. (I was never a fan of anything lavender scented until I tried this and I had the best nights sleep ever.) For the oil, I just apply two pumps to each arm and my chest so I can inhale the aromas. Simply sleep inducing. Ahhh. So I don’t watch TV in my room, however I am absolute fiend for catching up on all my social media when I finally get into bed (who isn’t!?) I possibly then click onto YouTube and catch up on my subscribed list. My current favourites to watch at the minute are Patricia Bright, ThePersianBabe and The Line Up. **Just a little tip, which everyone with an IPhone probably already knows, I always turn my brightness down to the lowest if your phone doesn’t already adjust to the darkness and then I’ll turn ‘nightshift’ mode on so the glare of the screen turns orange/yellow so it isn’t too harsh on my eyes. I’ve only just discovered it and it’s bloody great haa! Hope everyone’s had a great weekend and a relaxing Sunday being hungover/ active/ productive/ happy!